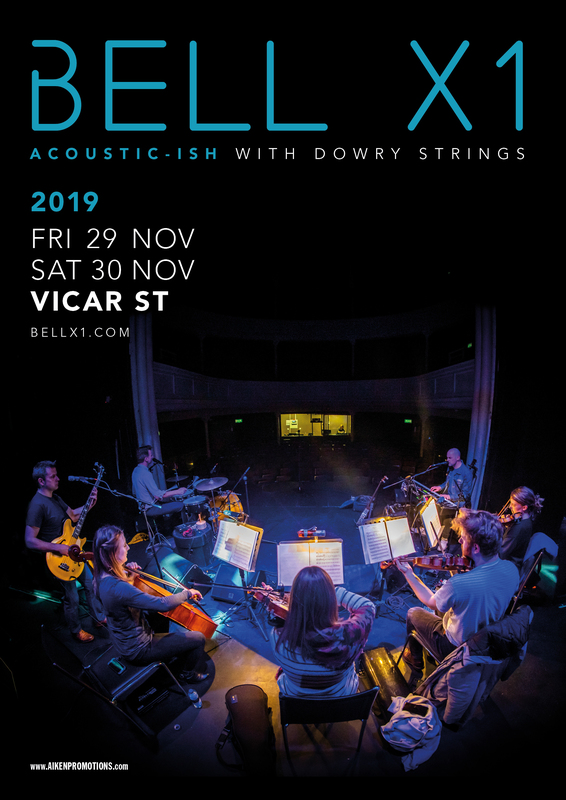 After a sell-out tour with Dowry Strings, Bell X1 have announced two dates in Vicar St, Dublin in November 2019. Tickets on sale this Friday at 9am from Ticketmaster.ie and outlets Nationwide. “The shows with Dowry strings were such a joy, and we found ourselves imagining what we could do with many more of our songs. So we’re going to get into it again with them, and are looking forward to flinging more paint around together” says Paul.